Using the Amarco architecture concepts and leveraging our latest trading room activity, we designed a working high end multithreaded trader pricing framework, using Windows forms or Excel. Amarco our solution for information systems architecture and visualization. It enables drill down navigation inside the details of the systems, as well as drill -up navigation for a global view. The architecture elements are defined by you and stored in a database. 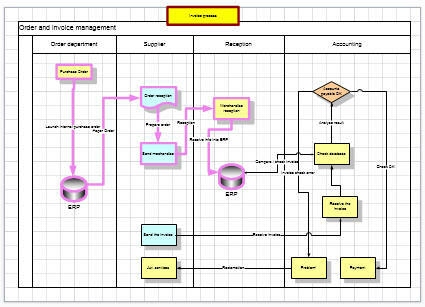 Using Microsoft Visio and the database, Amarco generates automatically great professional diagrams. This diagrams are later used to generate a high quality web with drill-up drill-down capability. Animate your Visio process, UML diagrams! With Unistep you create high impact presentations that would impossible otherwise with Powerpoint or other tools!